Programs And Services - Ask Us Today! 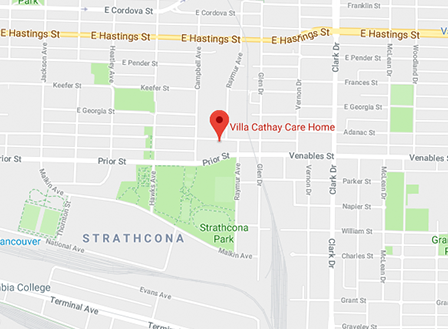 Villa Cathay is a non-profit senior care home, established in the Strathcona neighbourhood since 1978. Whether it’s a simple heartfelt greeting, a traditional Chinese meal, or simply someone to talk to, our seniors are surrounded by love, treated with respect, and supported in living with dignity through our quality individualized professional care. Our interdisciplinary approach assures that physical health and psychological wellbeing are equally emphasized. Villa Cathay is empowered by a team of registered health care professionals, including nurses (LPN, RN, RCAs), dietitians and a social worker. Our team works closely with the resident’s physician, the contracted pharmacist, visiting physical therapists, occupational therapists, and other external providers to achieve high-quality individualized care. Professionally trained care aides work collaboratively with residents, family members, and the health care team to assist residents with the required daily activities for personal care. 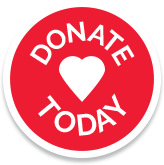 This includes assisted eating, personal hygiene, grooming, dressing, toileting and mobility, which is provided to complement each senior’s ability to live as safely and independently as possible. We hope that through these activities, our residents can continue to engage life to the fullest as they would in their own homes. Our residents enjoy a daily menu featuring Chinese Cuisine for 3 meals, supplemented with afternoon & evening snacks. Our on-site kitchen staff prepare our nutritional meals with fresh ingredients every day. Our registered dietitians design and supervise the process to ensure that we meet the individual dietary needs of all our residents. Alternative nutritious entrees and vegetarian options are available on request. Housekeeping services are provided to all residents, using certified eco-friendly products whenever possible. We provide laundry service for personal clothing. Specialty items are available with a surcharge. We have an in-house Social Worker who supports residents and families from the day of admission. We pay particular attention to changes related to the residents’ health and emotional conditions. Our Social Worker advocates for the practical and psycho-social needs of all new residents. Supportive counseling is provided to both residents and family members during the transition. Our Social Worker may also assist with advance care planning, liaise with government benefits offices, and facilitate access to HandyDART services, Red Cross equipment loan program and Public Guardian and Trustee. For a complete list of external services click here. Professional care, a culturally focused environment, and the comfort of home make Villa Cathay a special and unique place to meet the needs of our seniors and their families.